I have always been a fan of facial masks. There are many benefits that come with using a mask on your face a couple of times a week. Not only do you feel like you are at a spa pampering your skin, but there are long-lasting positive effects as well. Annmarie Skin Care offers a product, the Illuminating Pearl Mask ($59), which is AMAZING! The Illuminating Pearl Mask is perfect for all skin types and helps revive your skin. This mask will help hydrate and brighten skin which has become dry and dull. 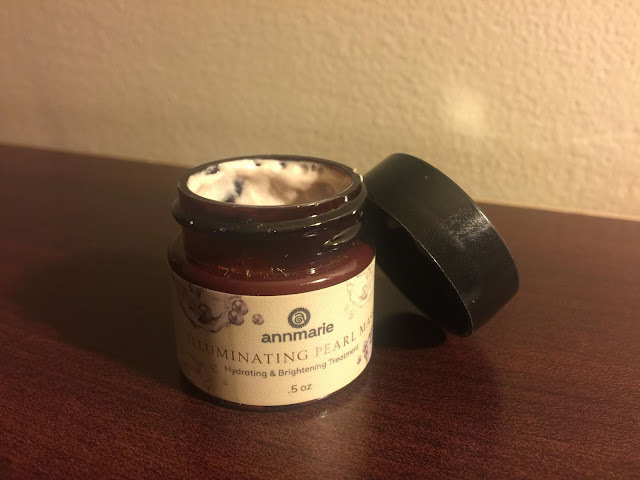 Just like the other Annmarie skin care products, the Illuminating Pearl Mask contains organic ingredients that offer amazing benefits. It contains honey, which locks in the moisture, turmeric helps calm and soothe. 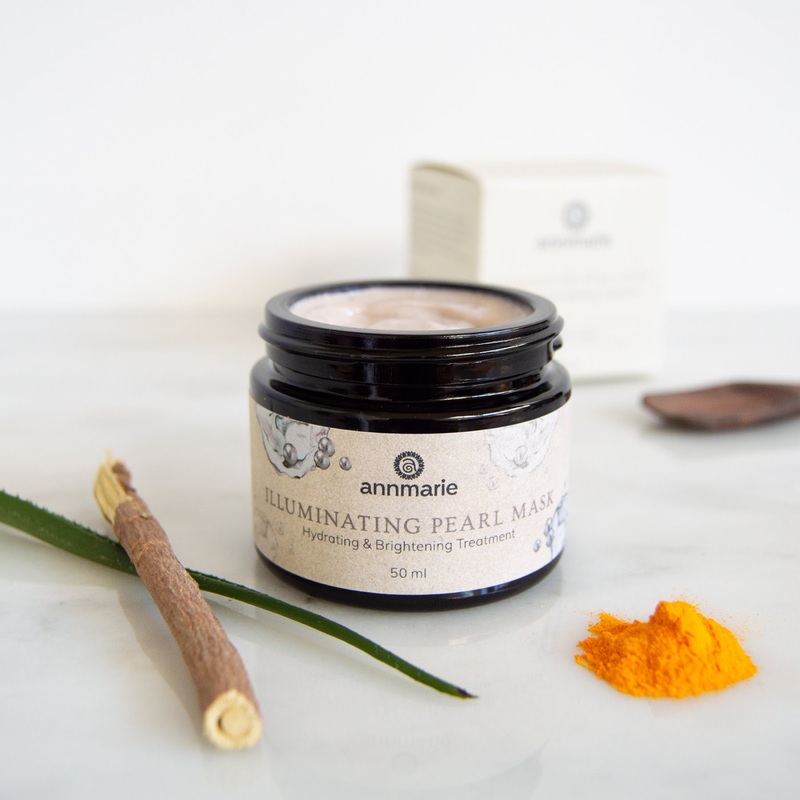 The pearl powder, licorice, and uva ursi helps brighten your skin. Your face will be left glowing and feeling like you just stepped out of a spa. The texture of the mask is silky smooth with a touch of shimmer from the pearl powder. I love how the mask feels on my skin. You can really feel the moisture coming back into your face. Afterward, your skin is left feeling so soft! Using the mask is very easy. Simply apply to your clean skin for around 15 minutes a couple of times a week. Remove with a wet towel and pat dry. I like to take a shower and let the steam open my pores on my face before using the mask. This allows me to get the fullest benefits from the mask. I only had the opportunity to try a sample and can't wait to get the full-size version.